Our Ski Mera Peak Nepal expedition is the stuff of dreams. Best of all, you don’t need to be an expert level extreme skier to do this. This is for strong skiers and riders that want something special. Watch the video below and you’ll see the terrain involved. You’ll trek with our expert team to the summit of Mera Peak in the Everest region of Nepal. Here you’ll take in the best mountain panorama in the world. No exaggeration. Impossible to describe are the uninterrupted views of Everest, Lhotse, Makalu, Kanchenjunga and Cho Oyu. Five of the world’s six highest mountains are right in front of you. After the mandatory photos, you’ll click in and begin the most exhilarating 1500m (vertical) ski descent on the planet. View images from our past Mera Peak expeditions. This expedition begins with an exciting 10-day trekking experience in the Everest region of Nepal. We’ll cross rivers, ascend high passes and marvel at the spectacular views daily. We’ll spend time in remote Sherpa villages and have a ball with our guides and porters as we approach Mera Peak. Then comes three days on the snow and ice as we slowly climb to the summit of Mera Peak. From the summit we’ll then ski all the way back to the Mera La with Everest in clear view. Only a handful of skiers/snowboarders worldwide have ever experienced anything like this. Our itinerary includes plenty of days to bullet-proof your safe acclimatisation to altitude. This is a challenging high altitude trek combined with an introductory mountaineering experience. This trip is suitable for people with no previous climbing experience. The ski descent on Mera Peak is not technical or steep. It’s actually one extremely long intermediate level run. There is no avalanche danger. However given the varying nature of the terrain and the altitude involved, you must be a strong skier/rider to join this expedition. All guides leading this expedition have climbed Mt Everest, most multiple times. 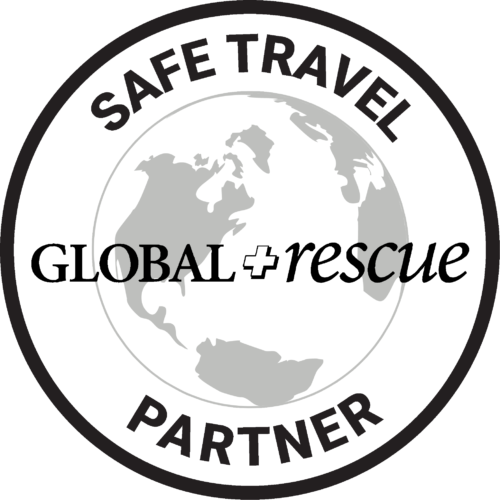 We have a 100% safety record across all our trips. You are in very safe hands with us. Join our active trekking, climbing and skiing community. Follow us on Instagram and Facebook. This trip includes 3 nights at The Yak and Yeti (or equivalent standard) in Kathmandu. You will stay in the BEST available mountain lodges during this expedition. You will be camping for the nights at Mera Peak Base Camp and Mera Peak High Camp.